Guys I have something to share with you all that has astonished me as a ginseng digger. I have only saw 2 - 5 prong plants in my life I dug one and my soninlaw dug one. So when I walked up and found this plant I had to sit down and call my buddys to me I simply could not believe what I had found. To me I will judge this plant as a true natural 6 prong plant,but both of my digging buddys insist that I have found a natural 16 prong plant. The plant has a main steam that is about as round as a mans thumb that comes up about 16 inches and has 6 prongs in a round circle as a 4 prong would have.Now that makes it a definate natural 6 prong and that in its self is awsome for me,but here is why the guys say it is a 16 prong. The plant has a second steam coming above the the 6 prongs and it is about as round as a mans little finger it is about 10 inches high.Then it has a perfect circular ball shaped knot that has 10 steams about the size of a tooth pick coming out all the way around the circle,on the end of each steam there is a leaf some of the leafs had 2 leafs and some 3 leafs on each steam. The sad part is I didnt have my video camera with me that day,but I did have a phone with me that makes a video and I took a video of it and pictures of it to share with you all. I am going to w-mart to get these developed and then I will share the video with all of my friends here at H.F. once I have it edited this is to good for just a photo. I can not believe that such a plant exsisted,but it did. I never even thought of ever digging one that was like it,to be honest I didnt think I would ever see a 6 prong....much less the way this one was made,and dig it myself. 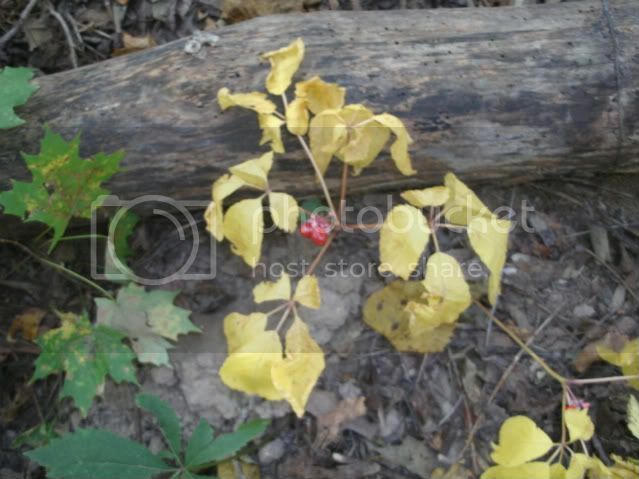 Some of my friends here that have been digging for awhile,,,you all remember we had a discussion a year ago about seeing a plant with a double berry pod on it ? Well o.k. then this one was just like that except instead of a double berry pod the plant had the unusal 10 toothpick sized exstentions on it,then a single very large berry pod above the normal rare double pod. The root weighed nearly 4 ounces.and I do think it is above 70 years old..
And that root is not for sale I think it will help my back after the doctors try to help me. I do want to thank the good Lord for this find and his goodness never ceases to bless my heart if in this life he provided so many good things what will it be like over there ? Sounds like what is called a triple decker. I have heard of these but have never seen one. Congrats, and I can't wait to see the pictures. Must have been in some rich, loose soil. I know that you don't want to sell it, but that is a valuable root that you just found. I have never heard of a plant like that. I have found 3 five prongs in my life.I have heard of double deckers,having 4 prongs and then another stem going up with 4 more prongs, but have not seen them either.Sounds like a great find and chief is right, you are the one that deserves such a find. I've never heard of anything like that. That's awesome. I can't wait to see a picture. This is a prime example of why I love being in the woods. When you think you've seen it all, nature will surprise you. Congrats on a great find! I only found 2 ,5's this year..this one was getting late.lucky I always carry my camera..never know what you'll see..
Can't wait to see a pic of that Billy. The Lord blessed you in a special way that day buddy ! My original seng hunting buddy back in 1976 told me over and over about how his dad found a 7 prong one time - but the way he described it it was a 4 prong, that had a double deck - where the berry pod usually is it had a stem that came up there and went on up and had a 3 prong - then a berry pod up from the 3 prong top. I did not see it but \"imagined it\" many times and hoped some day I might find something like that. Sounds like you have and found one even more amazing that what he found. Thanks guys for all of the compliments I appreciate it.I will post a photo and video as soon as I get them unloaded and edited from my buddy Rons phone.I so hate that I didnt have my cam that day but he has a exspensive phone and I think it will turn out good. Chieftain that is a great 5 prong and that is the first 5 prong that I have ever seen in a picture or any other time that was yellow t/f/sharing. I am still excited when I think back of that plant.